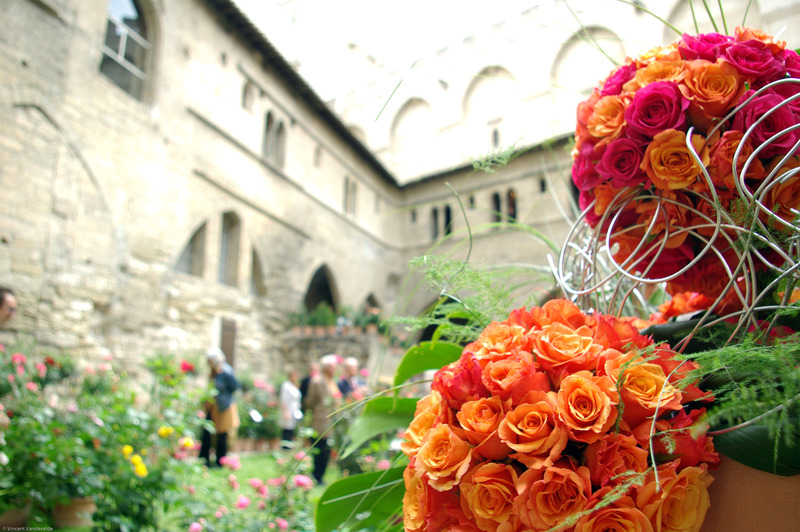 The fabulous pop-up rose garden that blooms for the Alterarosa festival is once again the star at the Palace of the Popes, in the majestic Cloister, from 5 to 8 May 2016! Alterarosa is the opportunity to see the greatest French rose breeders as they present their very latest creations. This avant-première event presents the latest names, the latest fragrances and the new colours. Alterarosa is a sensorial experience for the entire family. You can cast your vote to award the “Prix du Public” prize to your favourite rose. The French Rose Society also proposes conferences on many subjects to do with roses. And there are classes and workshops for all ages, where roses can inspire your work in painting, crochet, or coats of arms. Stroll Avignon: a rose-coloured itinerary to discover the workshops and events proposed by participating shops and crafts! This pedestrian circuit takes you all the way to the beautiful church, Eglise des Célestins, to see the participative work of contemporary art: an origami garden imagined by the artist Mademoiselle Maurice. As Alterarosa draws to a close, enjoy the very special picnic event, the “PINK”-nique at the Rocher des Doms on Sunday May 8th, as of 12:30, for a fun and friendly time in the beautiful gardens atop the Palace of the Popes. There will be games for children, and at 1pm a fabulous concert for 100 voices (and more) orchestrated by the Festival Gospel’In in Avignon. All around the Alterarosa festival there are lots of things to do and see: guided tours of gardens, and a Rhône river cruise.